Enjoy the splendours of Italy's classic cities travelling comfortably by high-speed train. Visit the Eternal City of Rome, the Grand Renaissance City of Florence and Venice with its meandering canals. A first-class rail tour for the independent traveller! 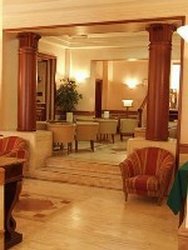 Excellently located in the centre of Rome, this new hotel was constructed with great care and attention. The bright hall has a beautiful glass Windrose, from where the hotel gets its name. Guests may enjoy tranquil contemplation on comfortable leather armchairs in front of the fireplace or, during the summer season, relax on the hotel's terrace after a day of sightseeing in Rome. The rooms, some not terribly large, are tastefully furnished and are equipped with air-conditioning, private facilities with bathtub or shower, telephone, minibar, safe and satellite TV. Other services of the hotel include a bar, elevator, and garage facilities nearby (payable locally). Continental buffet breakfast is included. 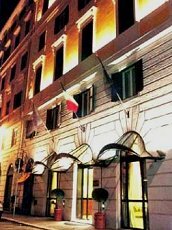 The Diana hotel is an elegant building decorated beautifully and set near all the artistic and historical attractions of the Eternal City and within easy reach of one of the most famous shopping areas in the world. The hotel features 169 well-appointed guestrooms, including 2 suites. 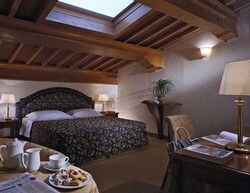 All rooms are equipped with modern amenities and offer a relaxing atmosphere. There are also non-smoking rooms available. Start your day with an extensive buffet served in the hotel's cosy restaurant. The La Brasserie is an American style bar, which offers a wide range of snacks, drinks and cocktails. The L'Uliveto is the roof garden where you can enjoy a panoramic view of the city while sipping a cocktail or a long drink or even tasting a bar snack or the barbeque. Continental buffet breakfast is included. 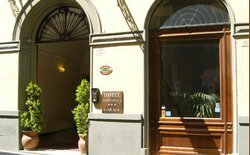 The Hotel Porta Faenza is situated in Via Faenza - one of the earliest medieval streets in Florence - near Porta Faenza, a gate in the fifteenth-century city walls. It was created in 1997 through the restoration and conversion of Palazzo Pegna, the old residence of a family of merchants, whose original structure has been kept intact. The most interesting monuments and museums in Florence are within easy walking distance and, being situated in a pedestrian precinct, the hotel is a quiet and pleasant place, the ideal point of departure for you to discover Florence and its artistic and cultural life. Continental buffet breakfast is included. Located in the historical centre of Florence within 5 minutes of the Duomo, Ponte Vecchio, Piazza della Signoria, the Uffizi Gallery, the Church of Santa Maria Novella, the Academy of Fine Arts with its renowned statue of David by Michelangelo, as well as the world-famous Via Tornabuoni, Borgognissanti and Viadella Vigna Nuova. The Grand Adriatico offers spacious and soundproofed rooms, two restaurants, a pleasant inner garden for breakfast and bar service, a private car parking, several conference rooms seating in total up to 600 persons and fitness centre. 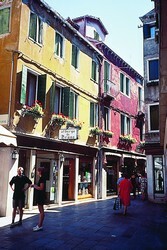 A small family run budget hotel in the heart of Venice. Situated in an enviable position along the lively "Saliggada San Lio" & only five minutes’ walk from St. Mark's Square and the Rialto bridge. The Da Bruno is a long time favourite of CIT clients looking for warm & friendly hospitality. Recently renovated, it offers bright & comfortable accommodation in a great location. The hotel does not have an elevator. Guest rooms are equipped with private bath or shower, A/C, TV & safe. Continental buffet breakfast is included. 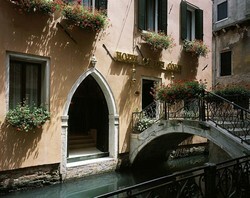 Overlooking a small picturesque canal, in a typical Venetian frame, Hotel Ca' dei Conti is a patrician palace located just a few minutes walk from St. Mark's Square. The building has recently been completely renovated preserving its original architecture, with two magnificent halls, a terrace and an entrance adorned with two original Greek columns. Guest rooms offer private bathroom, minibar, satellite TV, video, heating and individual controlled A/C & safe. Continental buffet breakfast is included. All hotels offered by CIT Tours are carefully selected and monitored. Hotels can be substituted depending on availability.